Only showing entries about vardzia from Roaming the world. 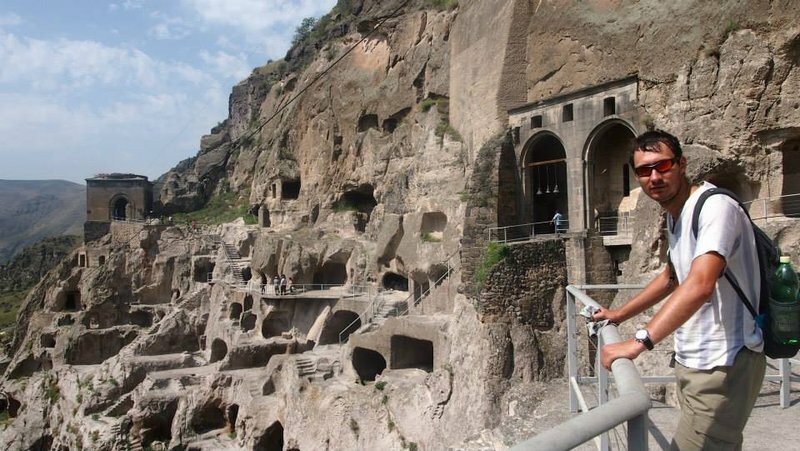 View entries about vardzia from all Travellerspoint blogs. Akhalkalaki is a small Georgian town on a border with Armenia. About half of the town is made out of ethnic Armenians. We arrived after 6 hours on a local bus. I went on a scouting mission around the center and quickly found a decent guest house for about 50 GEL. The town itself doesn't have much to offer. However, there is a nice fortress which was recently restores and provides good views over the surroundings. After visiting the fortress we popped into a cafe on the other side of the crossroad (sorry didn't take a note of the name). As soon as we got to the door, the clouds broke and it started to pour and hail. It looked like a solid wall of water... There was no way we were getting out there. The owner told us not to worry and got the rest of the bottle out... Not again... We drunk until we finished the whole liter of Cha Cha and could barely stand. I don't remember how we got home, but I do remember waking up with a massive hangover. 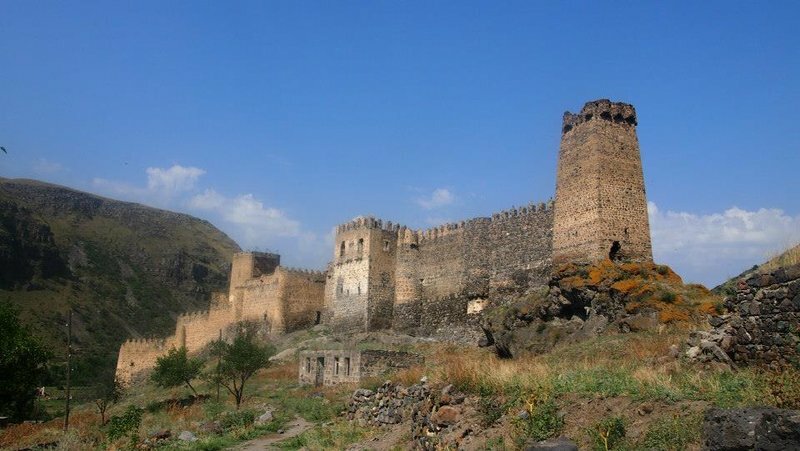 There are two reasons to visit Akhalkalaki 1-to go to Armenia, 2-to see Vardzia. 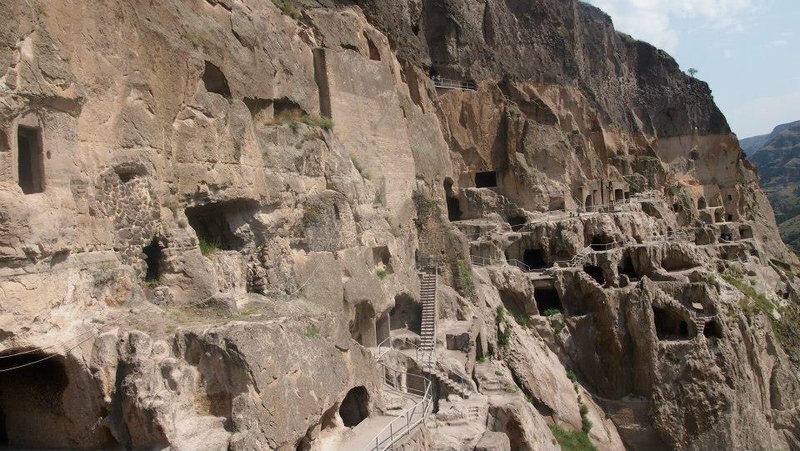 Vardzia is an ancient cave monastery site in Georgia. 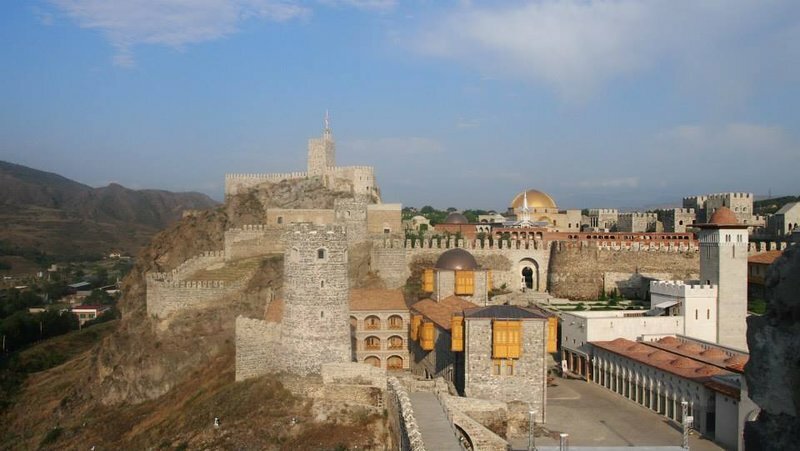 It dates back to 11th century and was started by Giorgi III, and continued by his daughter Queen Tamara. You can take a bus for 5 GEL each way from the central bus station. We decided that since there were two of us it made more sense to take a taxi. We approached the first cabby we could see at the bus station, and after a bit of haggling agreed on 40 GEL for a round trip, so double the price of a bus but without having to worry about the time and with stops on the way. Vardzia is truly amazing. I have been to cave temples before, but never to anything of this magnitude. There was an entire city based in those caves. The rocks kept people and food cool in during hot Georgian summers. The complex is well preserved, you can easily identify living quarters, kitchen, winery, temple and other places. As well as a few long and scary tunnels taking you from place to place beneath the rock.